If you took a video of a special event or occasion with your video cam, chances are you want to upload it on social media websites or video sharing sites as soon as possible. But what are you going to do if your video cam records video with an output file that is not compatible with most social media website players? Easy… convert it to a file that can be supported by their media players! Download the software from the Aiseesoft official website, you can download the trial version for free or you can take advantage of the full version for only $35. When you are done downloading and installing the software to your computer, simply double click the icon to launch it and when it's open, click the Add File button that is located just below its logo at the upper left side of the screen. Now choose which file format you want to convert for video file(s) to, in this sample we use MPEG-4 or mp4, this format is supported by most video sharing website, so this is an ideal output format for converting your video file(s). 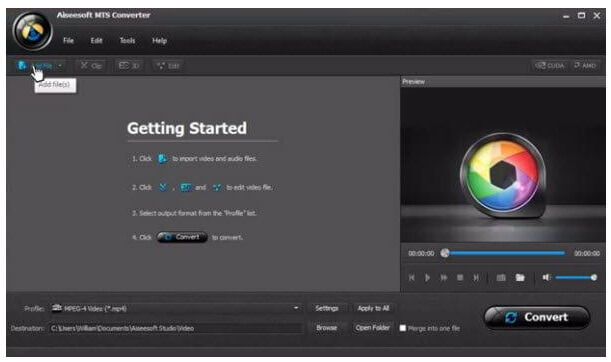 When your video is ready, simply click the Convert button that is located at the bottom right side of the software's window. The conversion should only take few minutes to finish, but of course, it is always depending on the size of the file you are converting, the bigger the file, the longer you have to wait for it to be converted. When it's 100% done, click the Completed – the last button at the bottom right of the converting window. There will always be problems with Aiseesoft MTS converter, such as crash or not working anymore. If you want to use other converter software that is also easy (or actually easier) to use, then you can also use Wondershare UniConverter (originally Wondershare Video Converter Ultimate) as a great alternative to Aiseesoft MTS Converter. Just like Aiseesoft, Wondershare also does the job perfectly and more. 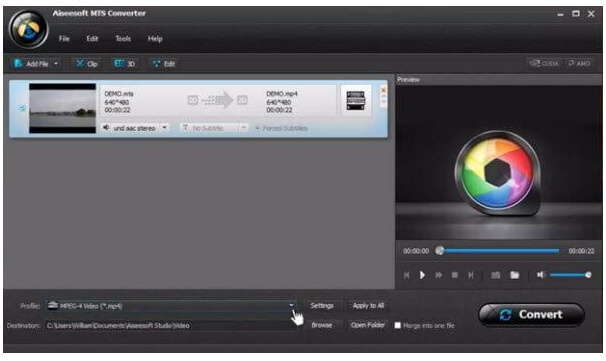 Both offer basic editing features that help the user to enhance the video significantly. They also can be used to convert a file into almost any video file format you need or want. Both of these video converters offer a very easy way for you to be able to play any video files you want on your device or any application that you have. As most of the devices and apps have their individual file nature preferences, having the appropriate file type for the device you are using or going to use is very important if you would like to enjoy viewing the video as how you should be. Aiseesoft and Wondeshare Video converters don't just let you to make new files that would play on any kind or type of device you have – they could also enhance your files for the specific screen size of your device, its resolution and other specific features. So all in all, Wondershare is obviously better to use than Aiseesoft because it is more convenient to use. 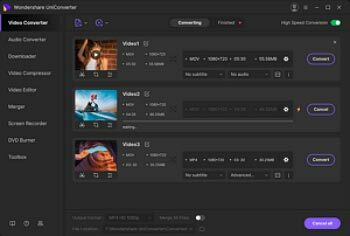 First Wondershare allows you to easily download any videos straight from video sharing websites like youtube and Vimeo and convert it straight from the converting software, it also allow Wi-Fi synchronization that Aiseesoft video converter can't do.